The church is located in a picturesque setting (I was once invited to a wedding here, but could not go). The church is closed except on Saturdays for a couple of hours during the summer. Church goers are referred to other locations for C of I services. The grounds are immaculately kept - indeed this would be an ideal location for a wedding. Unfortunately the windows were too dark and high to see inside. According to Ask About Ireland, this "neo-Gothic style building is made from roughcut sandstone and granite dressings, which was taken from an earlier church that had been built at Seafield around 1609. 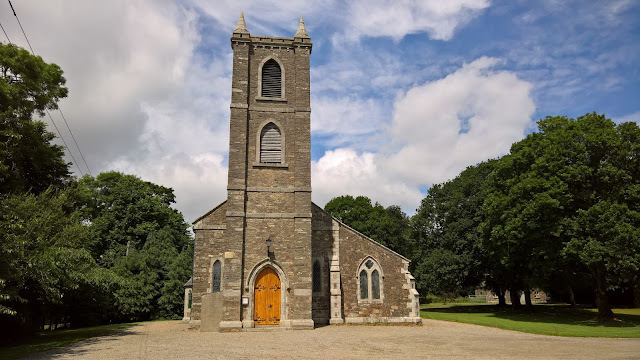 This Church of Ireland was built by the Lord Courtown in the 1770s as a memorial to the Stopford family". 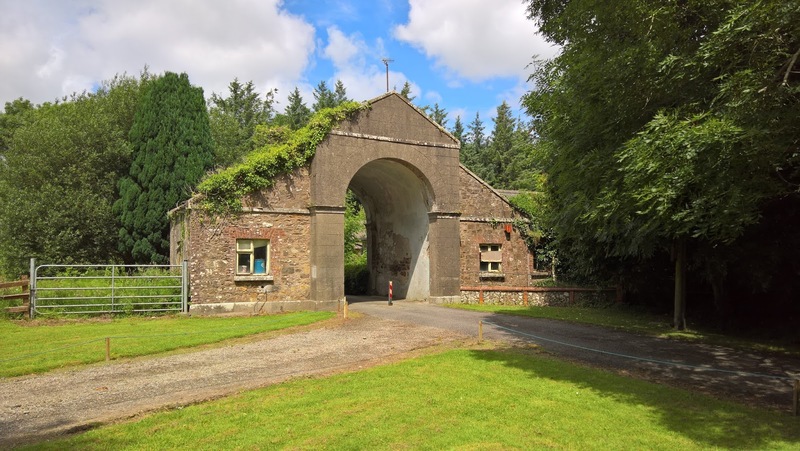 On the way into the church grounds there is a curious archway with two small (now derelict) rooms at the side. Close by is a cottage that must at one time have served as a rectory. Whatever your religious or non-religious views, I find it sad that church buildings like this are becoming used less and less. There is a real serenity in Kiltennel - I imagine families in years gone by tuning up for service in their Sunday best here. In years to come, no one will remember this.